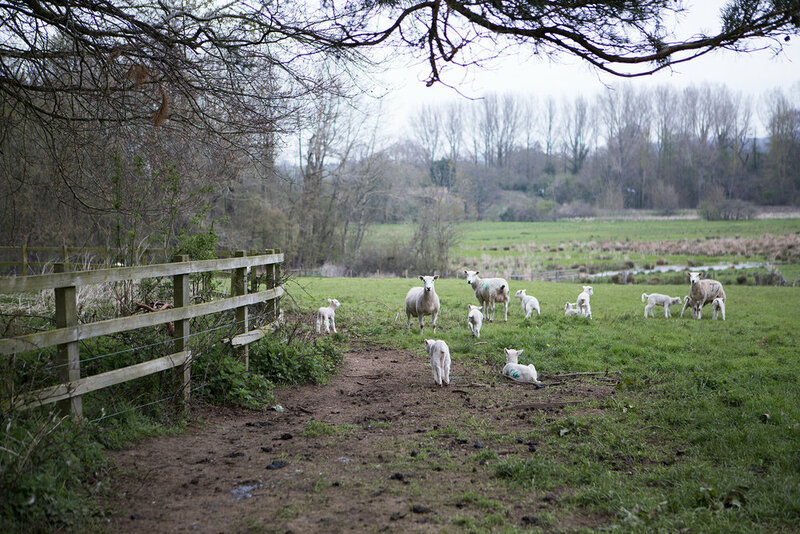 Daylesford farm began its organic journey 35 years ago. 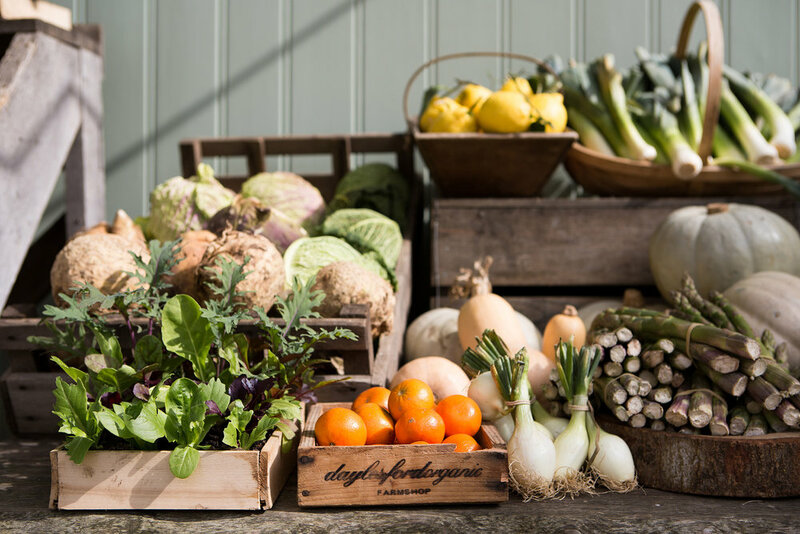 Now, one of the most sustainable organic farms in the UK, its 2350 acres in the Cotswolds is also home to a beautiful farm shop, restaurant, café, a spa, cottages and a cookery school. 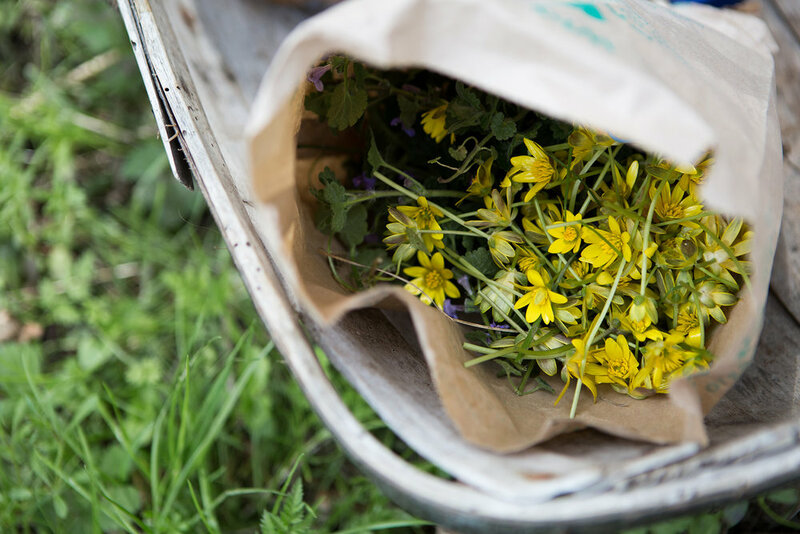 There’s a huge amount of social interest at the moment in slow living and home cooking with edible flowers (according to my online world), which seemingly has never been more popular. Elderflower season is starting and Instagram and Pinterest are full of images of foraged finds being turned into cordial, cakes and more. 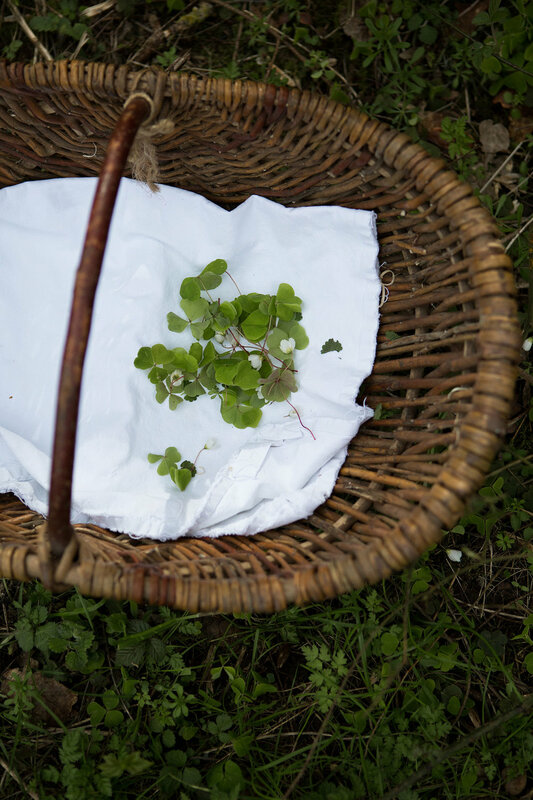 So it was hugely inspiring to spend the day at Daylesford on the Wild Food & Foraging Course to find out more about the plants and flowers that we pass by everyday that can be added to make simple meals more interesting and visually more stunning. 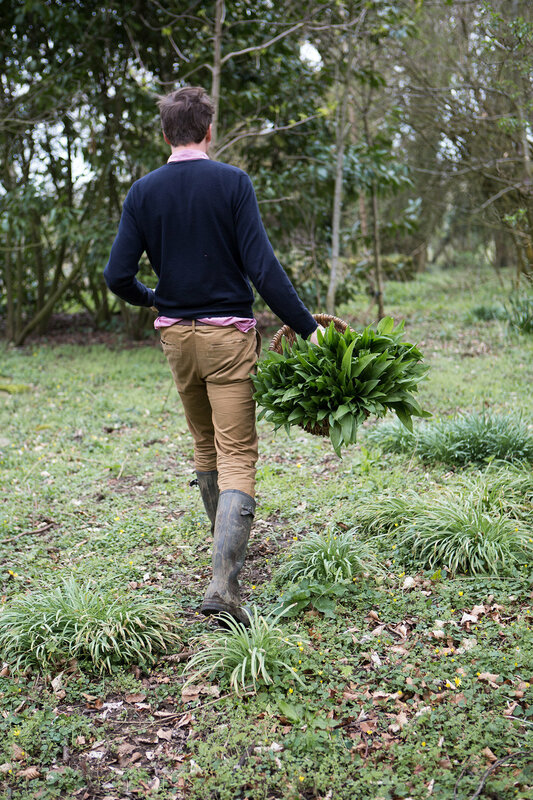 Tim (pictured above) is Daylesford’s resident forager and we were lucky enough on this day to have Garry Eveleigh AKA The Wild Cook join us adding his expertise in what can be eaten in the woodlands of the Daylesford estate. We spent a good two hours walking through the woods, fields and by the lake, stopping along the way to collect or avoid certain plants, taste what was being picked. This included wood sorrel, ground ivy, yellow celandine and pretty purple honesty flowers. 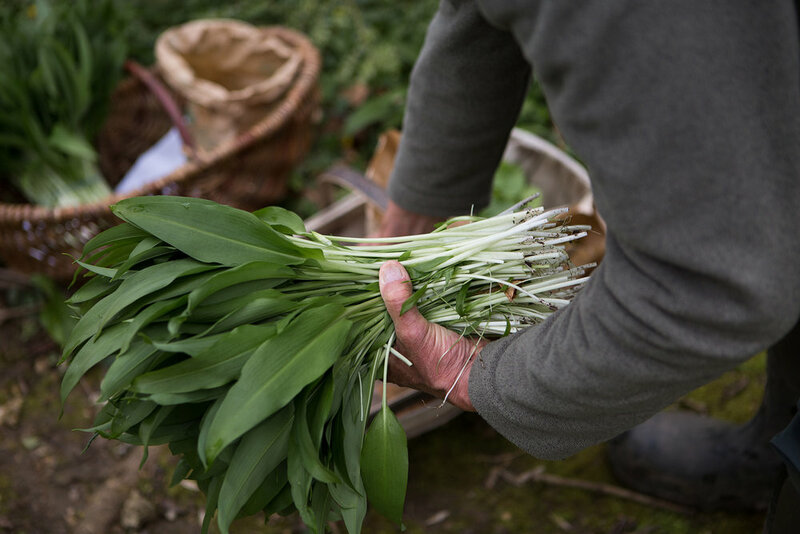 At the time I visited, wild garlic was in abundance and we all collected huge bunches of it, some to be used when we returned to the school but plenty to take home with us too. With our baskets of plants and flowers we made our own salads; creating salad dressings and choosing from an array of vinegars, mustards and oils from the larder to suit our own palettes. Added to our salads, chef served venison carpaccio and raw asparagus in a simple dressing. 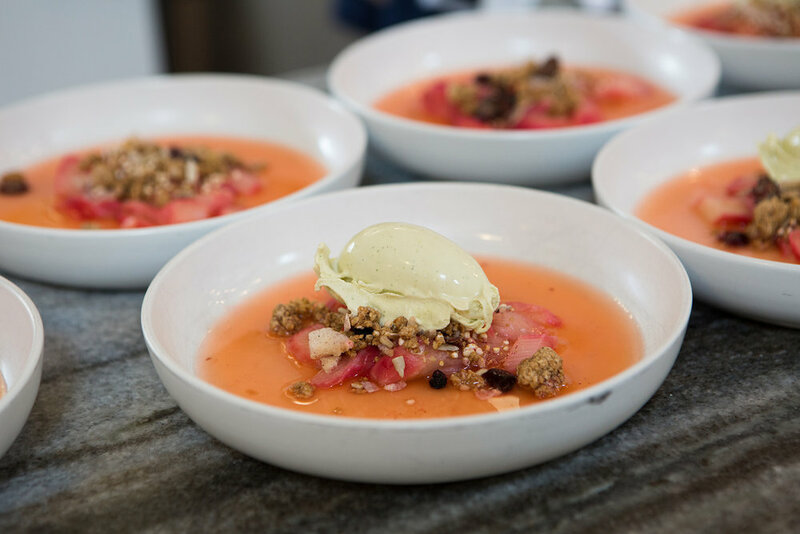 Nettles were used to make a nettle ice cream, which was served with forced rhubarb. There was a huge amount of knowledge being shared and lots of tasting and simple recipes being whipped up, like homemade mayonnaise, to show us how quick and easy it is and also how much better it tastes than shop bought. The whole day was a wonderful experience, a great introduction into foraging and simple ways you can implement it into a busy life. When lunch was over we all had a browse in the farm shop, I bought the cider vinegar and those Anzac biscuits and there may have been a few other things that made it into my basket too! 3. Raw asparagus in a simple dressing are delicious. In a bowl of very cold water drop in the curds to draw out any further milk. Squeeze the butter together to form a ball and then add your foraged flowers and a little salt (if you want a salted butter). Work the butter so your added ingredients are evenly distributed. Roll the butter into a sausage shape and wrap tightly in cling film. The butter will keep for a week in the fridge or 6 months in the freezer.